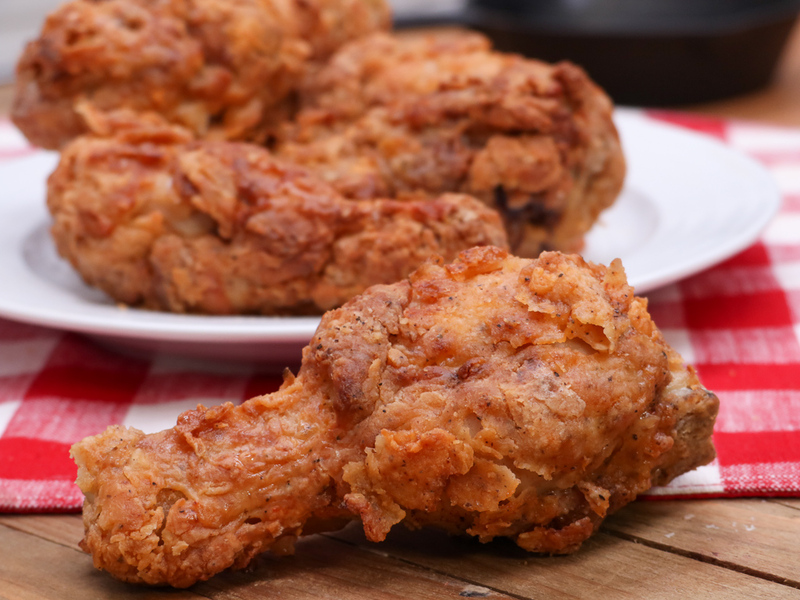 It’s time to ditch the Colonel and enjoy fried chicken without the guilt! While fried chicken is delicious, it’s not always nutritious. However, it doesn’t have to be that way! Thanks to the creation of the awesome air fryer, you can have crispy and delicious chicken without the extra calories. Some simple switches to the recipe are all you need: ditch the buttermilk for yogurt and the bread crumbs for panko, and you are all set! There’s nothing more satisfying than a juicy cheeseburger, but usually, it comes with a high-fat cost. Thankfully, many fast food joints are offering healthier options. 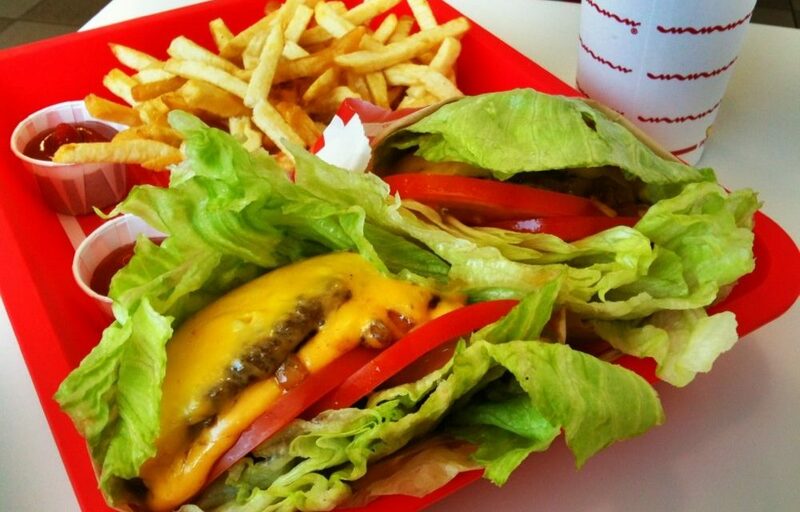 You can enjoy that double-double, just ditch the bun and have it protein-style! We promise it’s just as good! 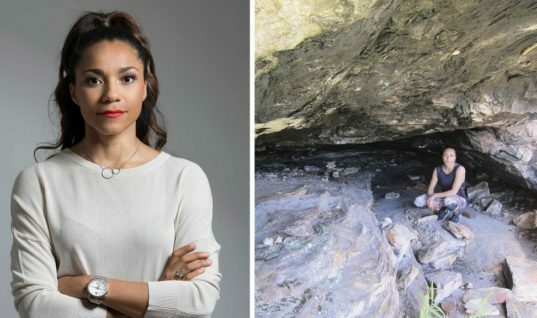 Keto is all the rage these days and people are finding great success ditching the carbs and sugar. But what does that leave you? Well, there are incredible cakes and desserts to enjoy that don’t add to your love handles. 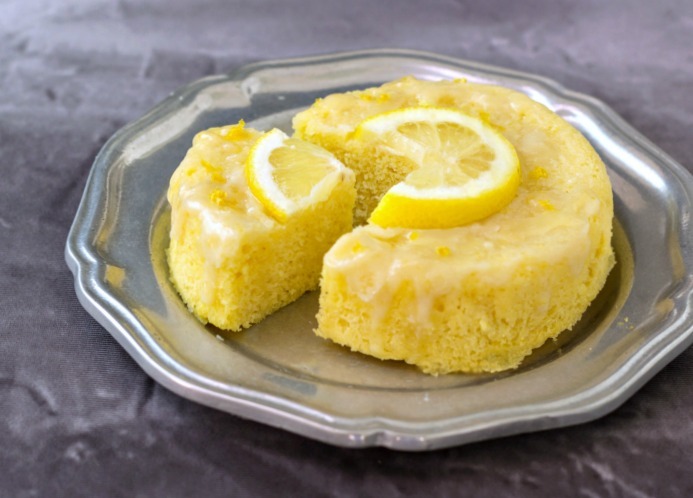 This cake is made with almond flour, stevia, and lemon juice and may skimp on carbs but not on flavor. It’s amazing, you must try it! 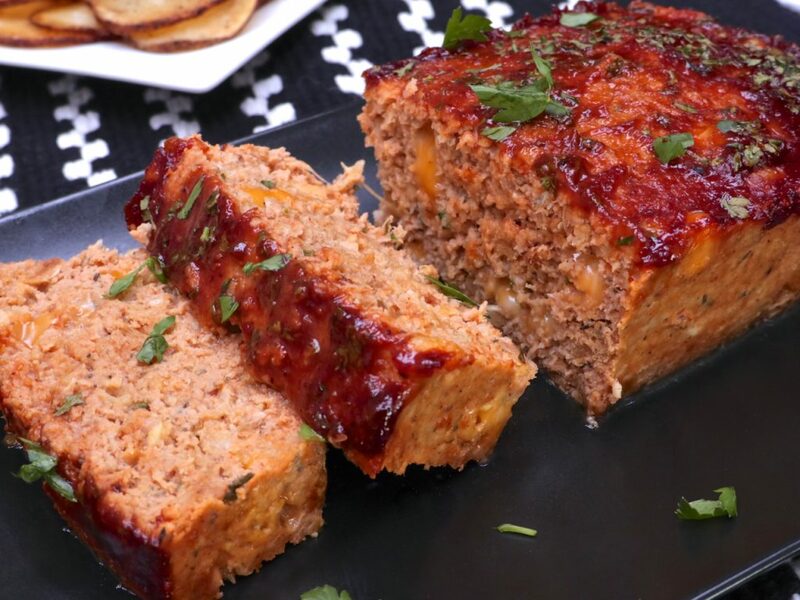 Meatloaf is a common dinner staple in the United States, but it’s also not very healthy. Usually made with red meat and topped with ketchup it’s a fat-filled sugar-laced nightmare for the arteries. Thankfully, you can lighten this dish up with two easy replacements. Switch out the ground beef for ground turkey and instead of ketchup use sugar-free barbecue sauce. We promise it’s still just as delicious! French fries are delicious, but the frying part can really ruin any nutrition value of the potato. 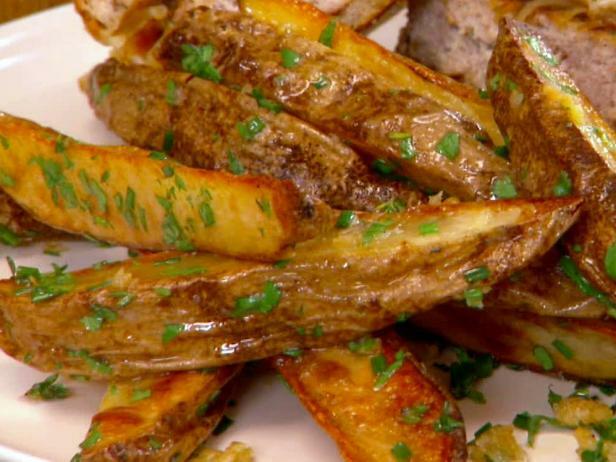 However, if you BAKE your fries and top them with delicious herbs and spices, they are just as good…even better! Sorry McDonalds, your time is up. Who doesn’t love pizza? It’s perfect for a Friday night with Netflix, but not so great for the scale. 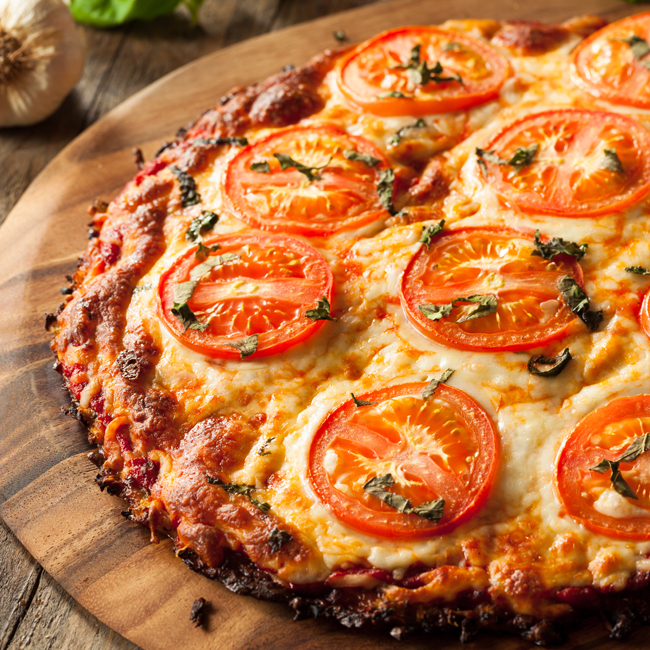 However, a simple solution is to enjoy your pizza with a cauliflower crust. Many pizza places are beginning to offer the cauliflower option and it’s also super easy to make at home. Goodbye carbs, and hello pizza. 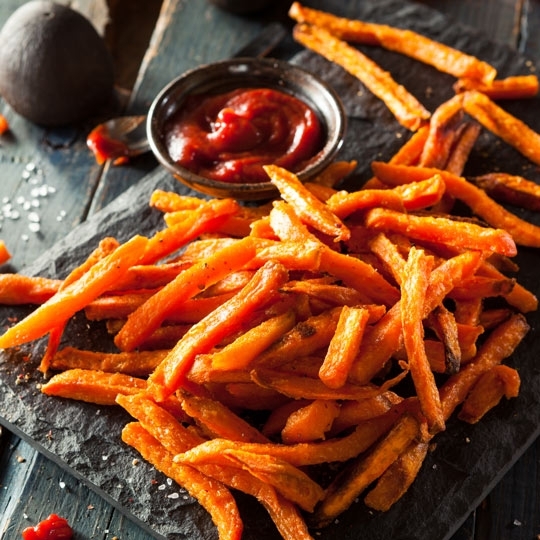 We’ve already mentioned baked fries, but another alternative is sweet potato fries. Sweet potatoes offer a healthy dose of enzymes and nutrients not found in white potatoes, and the sweet taste is perfectly paired with some ketchup. Most restaurants have these on the menu these days, so say no to the starchy white and go for the sweet next time! Baked Corn Dogs? You Betcha! 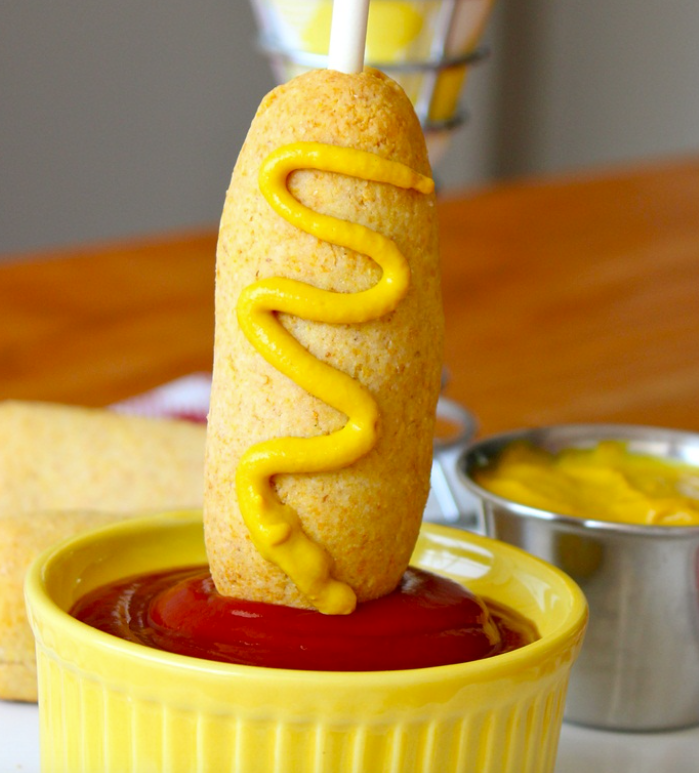 Taking classic fair food to a whole new level of health, these baked corn dogs will convert even the biggest junk food junkie. Using low-fat turkey dogs and cornbread mix without the oil, these corn dogs offer a lot of flavor without the extra calories. It’s amazing how a few substitutions can transform a dish. Sneaking in your vegetables has never tasted this good. Many people are baking with vegetables and fruit these days as alternatives to butter and oil. All we can say is the two cups of zucchini added to these brownies adds a decadence like no other. They are also moist and rich. 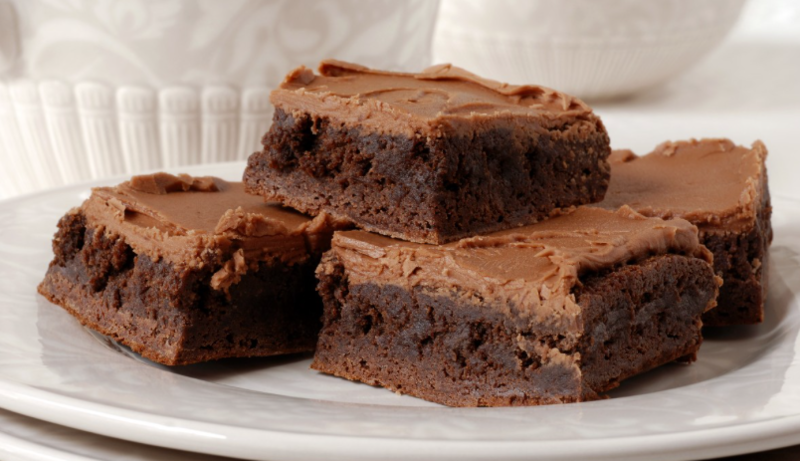 We promise you won’t want normal, fattening brownies again! 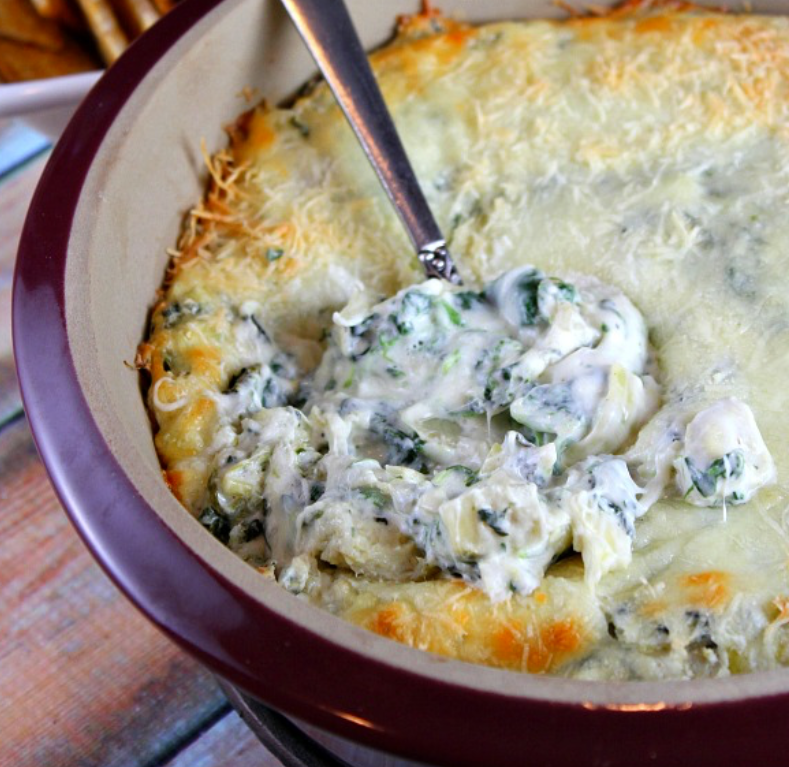 One of our favorite appetizers is Spinach and Artichoke Dip. Unfortunately, it’s pretty high in terms of calories and fat. However, this low-fat version uses fat-free cheese and greek yogurt, to create a rich alternative that is just as good. Your taste buds are going to sing with this dip. 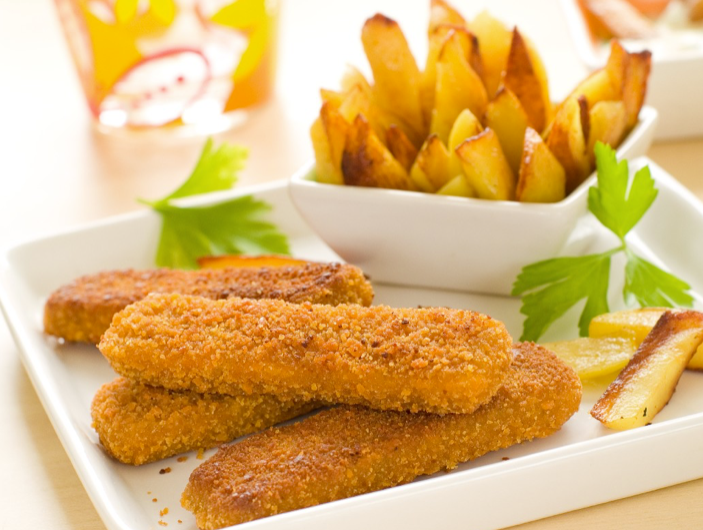 Who remembers eating fish sticks as a kid? We definitely do. They were a great crunchy after school snack. Unfortunately, they were far from healthy. Thankfully, this baked version packs a punch of flavor without the fat. Using low-fat tilapia and panko bread crumbs, this alternative to a childhood classic will have your kids begging for more. Look, we understand why you hot wing lovers may be skeptical about this healthy alternative, but believe us when we say it’s good. 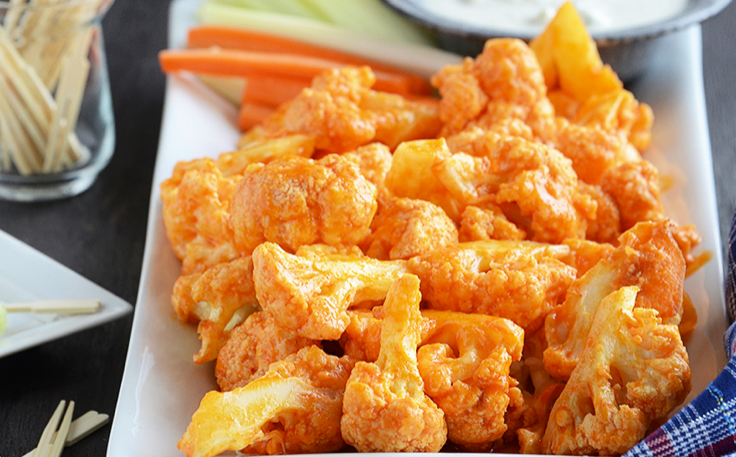 Swapping out the chicken with cauliflower florets that have been breaded, baked and then plunged in buffalo sauce, this veggie take on a classic is incredibly good. Plus, you can make a delicious ranch dip with some greek yogurt and a ranch flavoring packet! Who says ice cream can’t be healthy? This delicious plant-based version uses frozen bananas, some sugar-free vanilla and a splash of almond milk. That’s it! Blend together until smooth and then freeze in a parchment-lined tin and you can scoop it out later for a yummy treat. And without any guilt whatsoever. 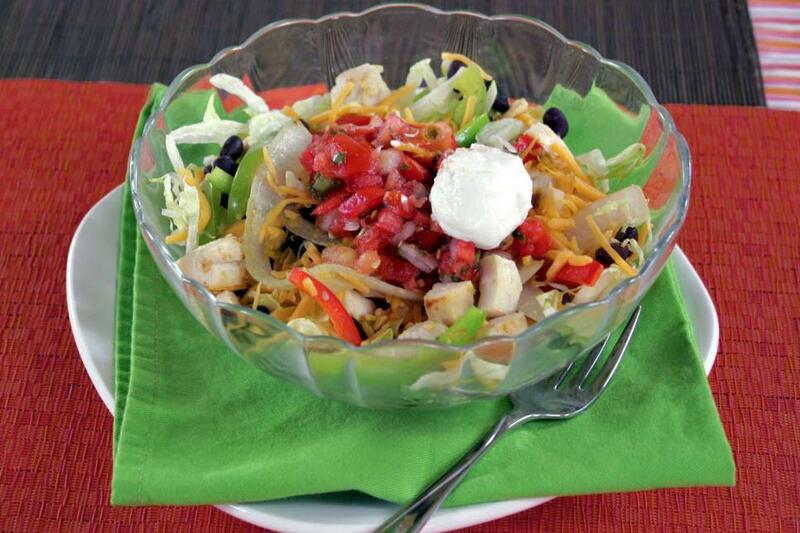 It tastes delicious and if wanted to eat it all you can without worrying about calories! 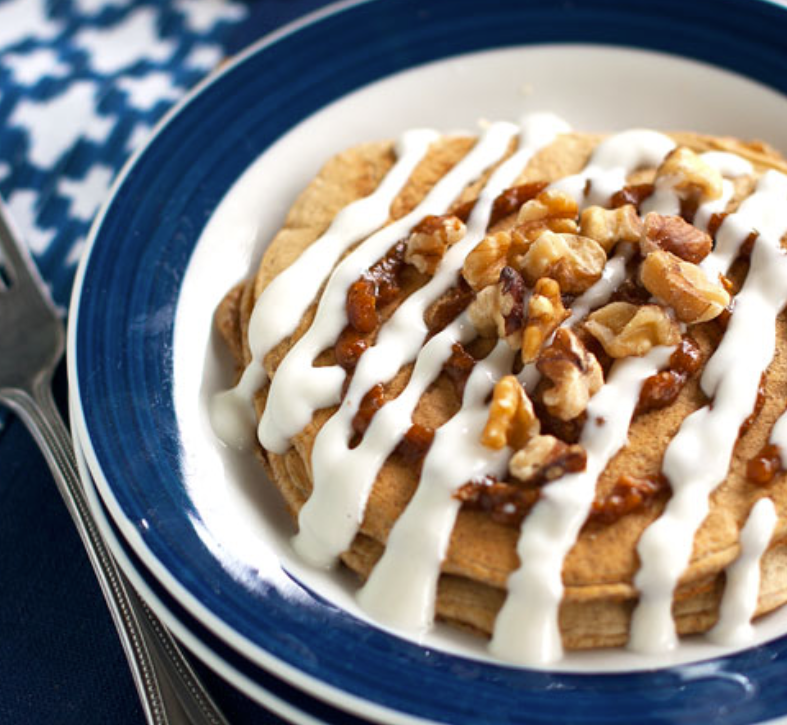 A breakfast indulgence without the guilt is the name of the game with these pancakes. Using a mixture of almond flour, bran cereal, fresh cinnamon, and egg whites, then topped with a greek yogurt frosting…we promise you will be begging for more. They are sinful, tasty and 100% guilt-free. 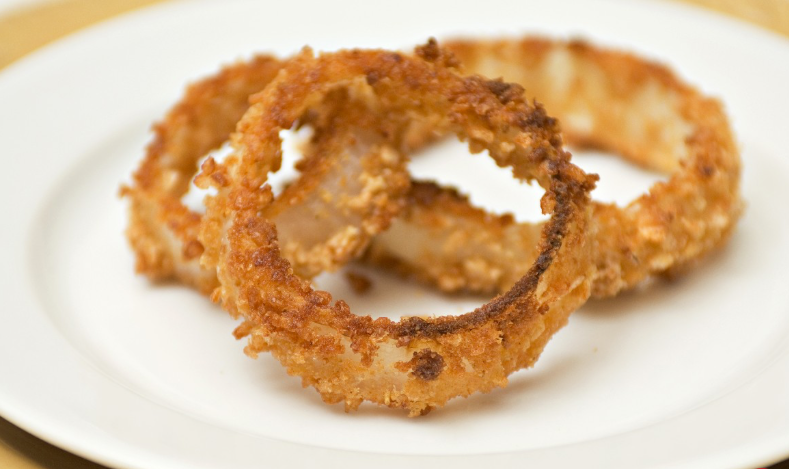 One of our guilty pleasures is onion rings. They’re greasy, full of flavor and just downright good. 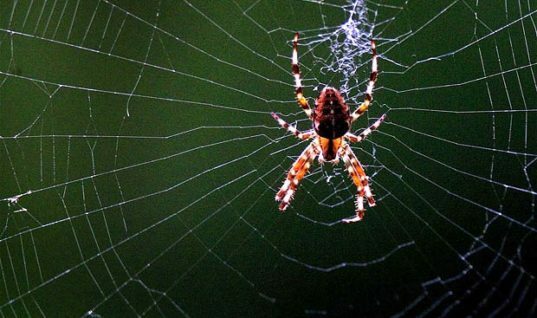 Sadly, our thighs don’t hold them in the same regard as we do. However, there is a way to still enjoy onion rings and cut back the fat. Simply substitute the bread crumbs with panko and then choose to bake instead of fry. It really is that easy. Starbucks eat your heart out! This amazing treat is only 50 calories for 24-oz. Yes, you read that right and we promise it doesn’t skimp on the flavor or decadence. 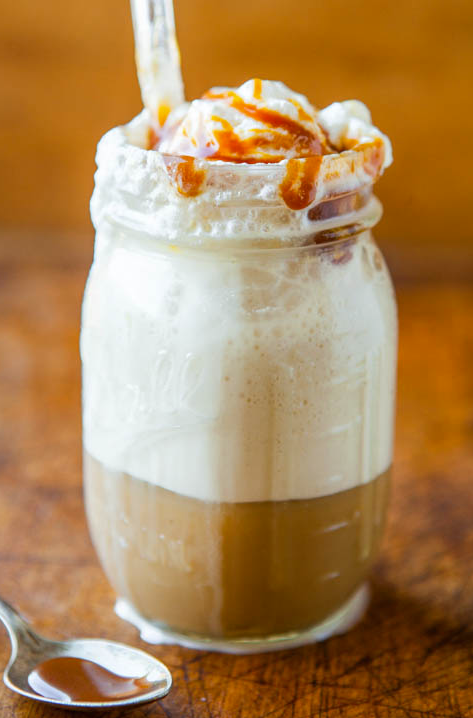 All you need is some strong cold coffee, almond milk, sugar-free sweetener, sugar-free caramel sauce, and some fat-free whipped topping. 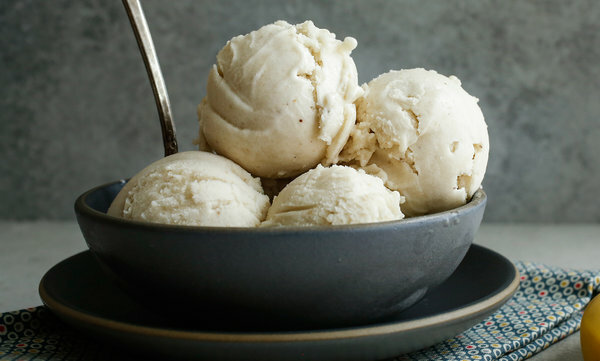 It’s rich, creamy and completely satisfying. Healthy Sugar Cookies? Oh, Yeah! 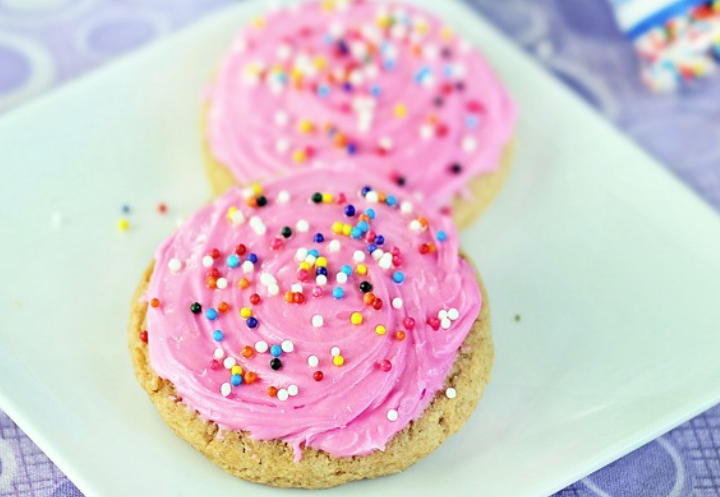 Dreams do come true with these amazing healthy sugar cookies. By replacing the butter with coconut oil and the sugar with evaporated cane juice, you can enjoy a tasty sugary treat without guilt. Did we mention they’re best served straight from the oven? You are going to love these! Chips and salsa are so delicious, but the carbs, fat, and salt are not. 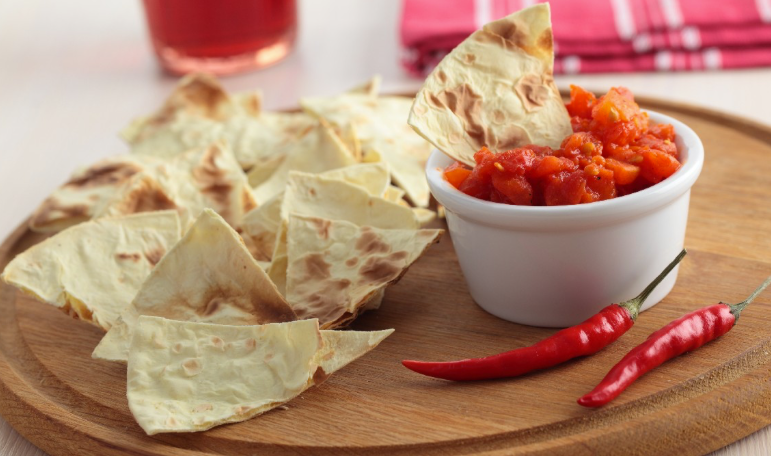 However, if you cut up some low-carb tortillas and bake them, you can have a guilt-free alternative that’s perfect for dipping. There’s no reason you can’t indulge without worrying about battling the bulge! 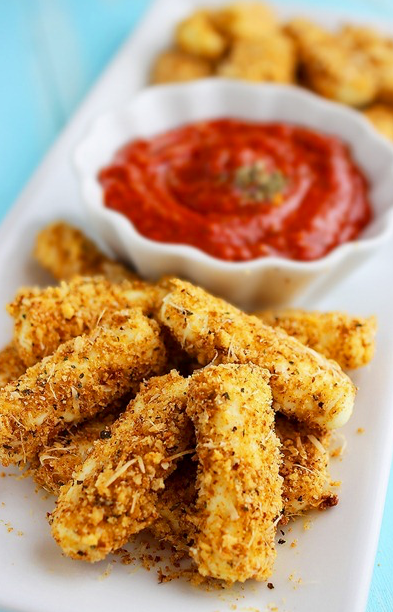 Just the thought of a mozzarella stick makes our mouths water. The gooey cheese, the tang of the marinara…it just blends together in appetizer perfection. Unfortunately, they are super high in fat due to the cheese and the frying. Thankfully, you can do a lighter version that’s just as delicious. All you need are some light string cheese, Italian bread crumbs, and a hot oven. We promise they are just as sinful. There’s nothing like a White Castle Slider…sadly those bites of delicious hamburger goodness are loaded with fat and calories. Thankfully, this Hungry Girl version is much slimmer fare. 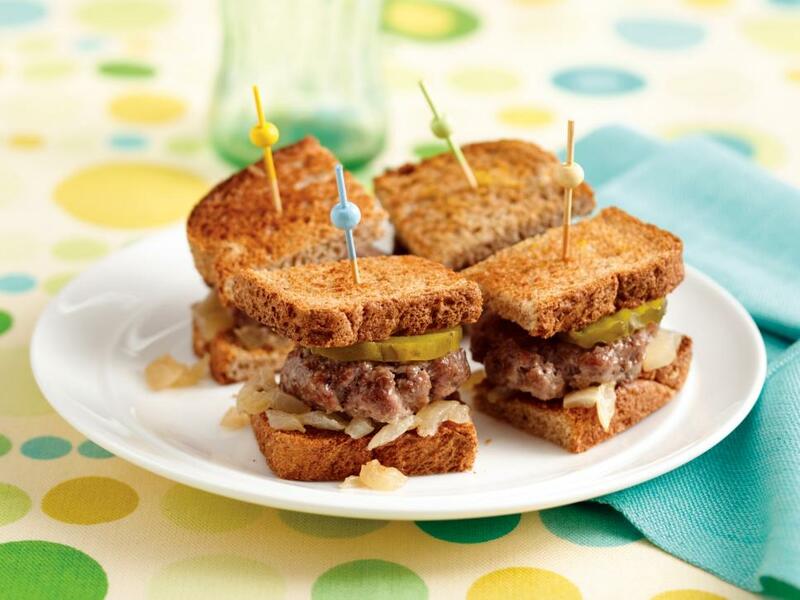 Using extra-lean ground beef, whole wheat bread, and fresh onions, this is the perfect substitute for your White Castle cravings. 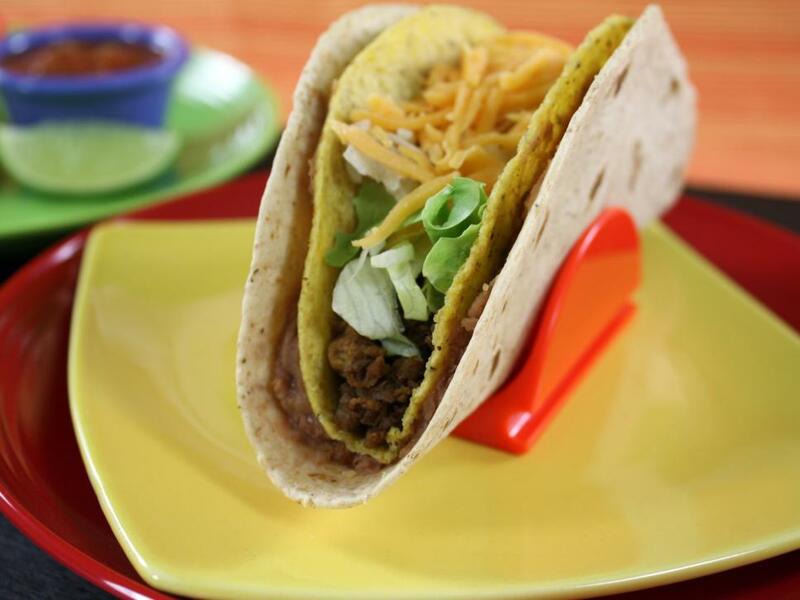 This delicious makeover of the Taco Bell Double Decker kicks the beef to the curb and adds in healthy soy crumbles instead. Combine that with high-fiber/low-carb tortillas, low-fat refried beans and some fat-free cheese and you’ve got an amazing lunch. The scale will thank you and so will your thighs. Look, we love popping open a tube Pringles like the rest of you, but the problem is we can’t just eat a few. That entire tube will be gone in ten minutes and then we’re cursing the scale the next day. However, there is an alternative….microwave chips. Simply slice a potato thin, coat in some olive oil and top with salt! 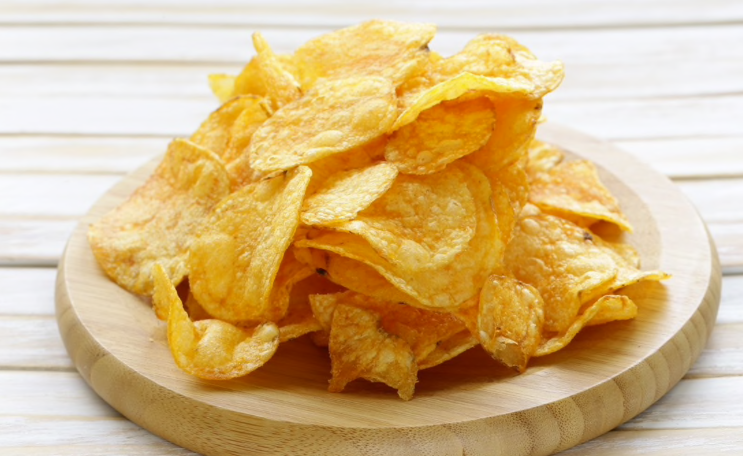 Then pop those babies in the microwave and you’ll have some crispy and salty baked chips that cut out the calories and the fat. Who needs a tortilla? 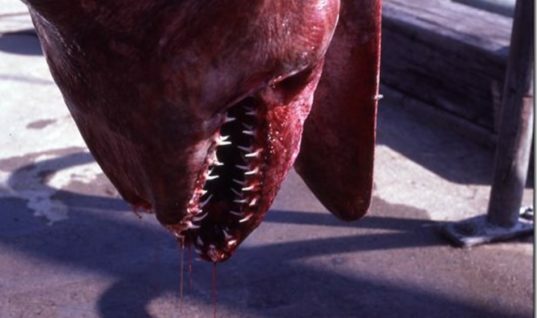 It’s what’s on the inside that counts. This delicious burrito in a bowl takes your favorite ingredients like chicken, cheese, sour cream, and salsa, but ditches the bread in the process. The flavor is there and we promise you won’t even miss the wrap. But don’t take our word for it! 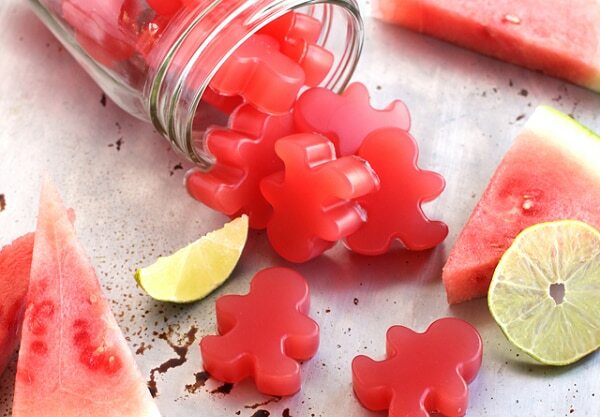 We have a confession to make…we LOVE gummies. Unfortunately, they don’t love us in return due to the high sugar content and processed junk that’s in them. However, you can actually make them yourself providing a healthy alternative. All you need is gelatin, watermelon juice, lemon juice, and stevia! Also, did we mention the collagen in gelatin is amazing for your skin? 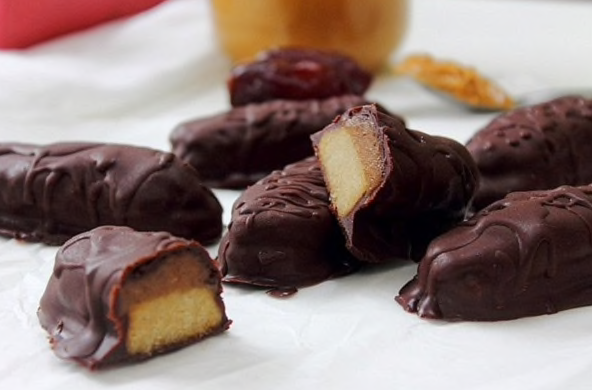 Vegan Twix that are actually healthy? Count us in! This low-calorie twist to the infamous candy is sure to draw raves from your family and friends with zero guilt! With virtually NO saturated fat, this Twix incorporates coconut oil, almond flour, and vegan chocolate. We promise you’re mouth will be thanking you (as well as the scale). 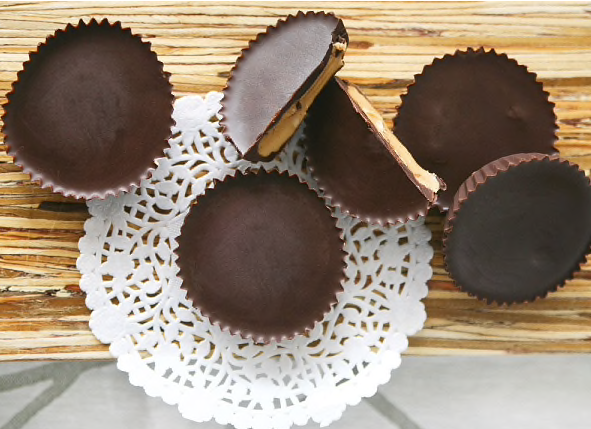 Who doesn’t love peanut butter cups? That rich, melt-in-your-mouth goodness is just a perfect treat after a long day. However, the truth is they are high and calories and fat. Thankfully, you can make them yourself with three ingredients and remove all the processed crap that’s unhealthy. All you need is some vegan chocolate chips, organic peanut butter, and coconut oil. It’s that easy! 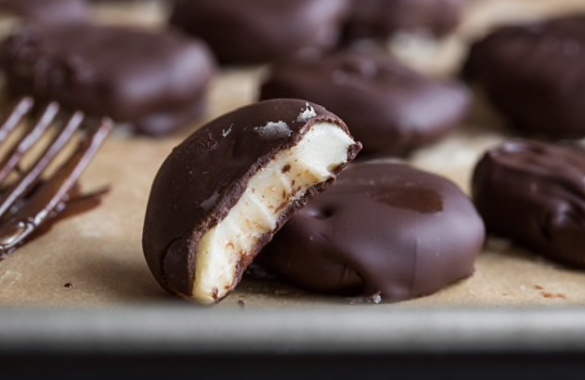 These peppermint patties are absolutely mouthwatering and you can eat them completely guilt-free. Blending cashews, almond milk, and fresh mint to make a luscious filling that is then topped with a delicious dark chocolate ganache, these DIY peppermint patties are a perfect healthy alternative. They’re also gluten-free, vegan and grain-free. 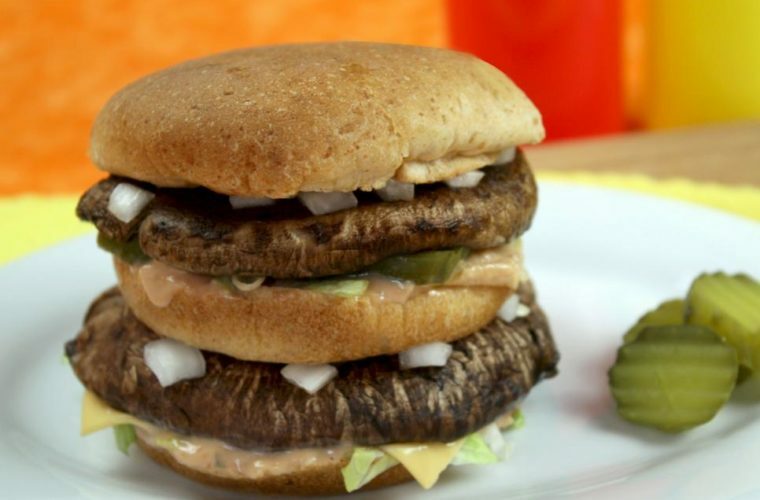 Now you can get the delicious taste of a Big Mac with half the calories! 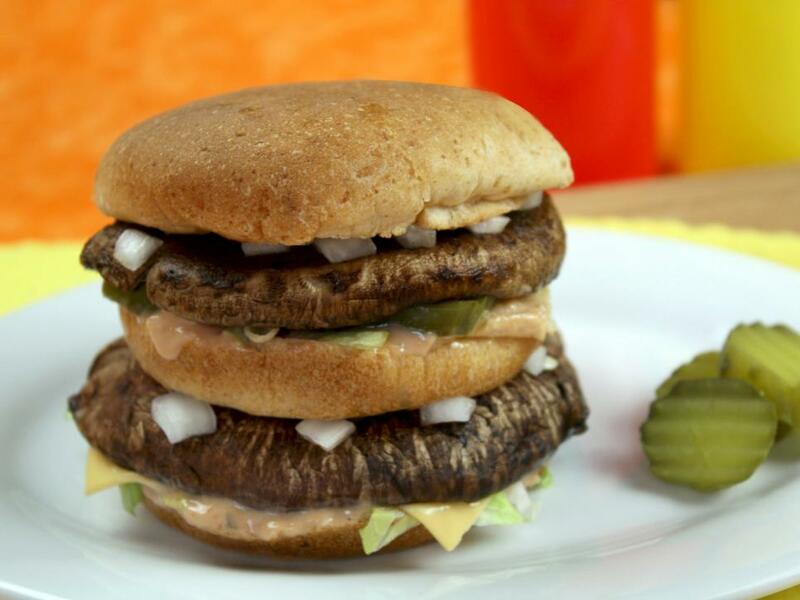 Simply replace the bun with a whole wheat one, then take out the meat and put in a mouthwatering grilled portobello mushroom! As for the “mac sauce?” Some tangy fat-free Thousand Island dressing will give it the zip it needs! Egg McMuffin in A Mug! Enjoy the delicious taste of a McDonald’s Egg McMuffin in a mug! 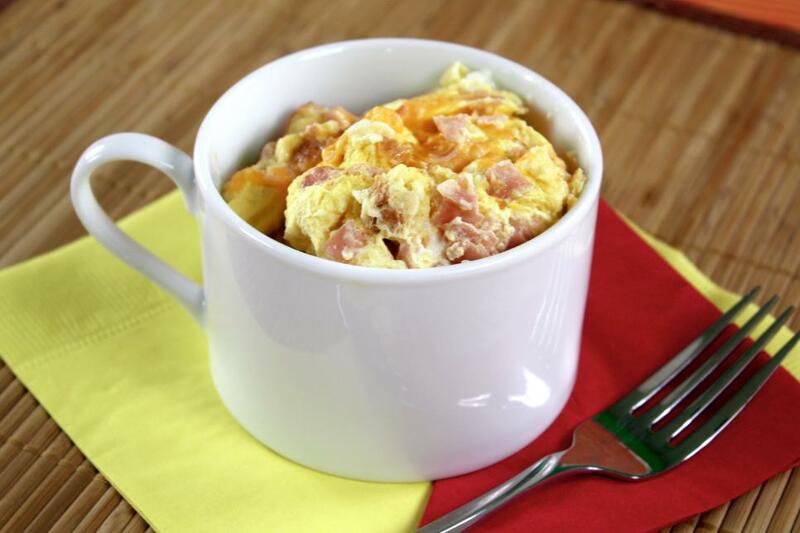 Simply use light bread, lean ham, and some low-fat cheese mixed with egg beaters then cooked in a mug for breakfast perfection. We promise you won’t even miss the fatty version! It tastes that good.